Dr. Daniel Davis graduated from medical school from the University of Colorado, School of Medicine, completing his residency in Dermatology at the University of Texas in Houston, Dr. Davis completed a Dermatopathology fellowship at the University of Texas in Galveston, TX, then went on to complete his dermatologic surgery fellowship from the University of Iowa School of Medicine. 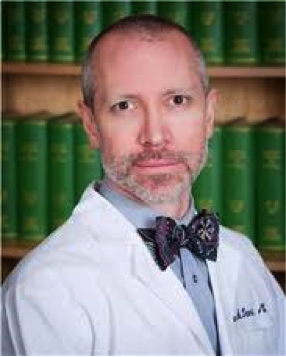 He continues to hold a position as Clinical Professor at the University of Arkansas and is now practicing in Albuquerque, New Mexico in private practice with Dermatology & Skin Cancer Center of NM. His interests include spending time with his family and the outdoors.